There are over 3500 species of these pesky pests (PPs), some of which are responsible for transmitting such deadly diseases like malaria, dengue, Zika and chikunguniya, to name a few. For such tiny things, some have pretty names, and some have pretty long names – Aedes, Anopheles, Coquillettidia, Culex, Ochlerotatus, etc. They are most active during the early dawn and dusk and the ones that bite you are all female, blah, blah, blah…..If you want to know more about them, I suggest you Google for them. I can’t waste space on them in my very short treatise. So how does it matter, whether it is a male or female that is drinking my blood with such relish? Or the fact that mosquitoes are attracted by perfume? These scientists just study the appearance, habits and behaviour. Even to do this, they need a plethora of expensive equipment and work in sophisticated labs. But do they tell you whys behind the behaviour? No, sir! The tosh scientists seem to think that mosquitoes have no psyches. How ignorant of them! So, in the interests of humanity, I decided to delve into the minds of these tiny mites and what did I discover! They are as intelligent, and emotionally and mentally able, as any human being. One of the reasons they feed on human blood is to imbibe these qualities from them – else, they are happy with the blood of animals and livestock. Come to think of it, the latter is safer too, as all they have to contend with are swishes of tails or flapping of ears, and not deadly chemicals that are used to keep them away, or worse, kill them. I have studied mosquitoes for several decades and won’t let modesty prevent me from saying that I am an expert in mosquito psychology, perhaps the only one you’d ever find! What is more, I have done it without expensive equipment and fancy labs. If you are interested in plumbing the depths of a mosquito’s mind, do read on. For instance, if you think mosquitoes have become immune to the repellent sprays by developing immunity to them, you are wrong! The real reason is very simple, even endearing: it is the mothers and kids – of the mosquito kind. Mosquito mothers are as persistent and strident when it comes to feeding and disciplining their young, as any human mother is, only she has to live with so much more uncertainty of life than her human counterpart, the poor thing! Don’t fuss so! Come in and drink up! But mom! I can’t breathe in there! There is so much of that awful repellent! I will choke to death!’ The kid hovered in the window refusing to come in. ‘Oh quit being so dramatic! Be thankful that they don’t use nets to sleep in. You wouldn’t have been able to get near a skin had these humans slept under them! Come! Just hold your breath and take a quick swig. With practice, you will be able to hold your breath longer – that is, if you don’t get killed in the meantime, my son!’ she added under her breath. People train their pets to do yoga and jump through hoops and over hurdles. But these tiny PPs are learning pranayama from their human preys by just observing them! And that is why the sprays and mats are ineffective! It is also the maternal instinct that makes them apparently prefer certain gross situations and smells. I say ‘apparently’ because no female of any species, mosquitoes included, would prefer such gross smells as unwashed skin teeming with bacteria, gallons of carbon-di-oxide exhaled by snorers and the stink of livestock. Given a choice, they would have loved to feed on perfumed skin (remember, the biters are all female?) But it is the gross skins that let them feed undisturbed. Can you imagine, for example, a snorer being alert enough to swat a mosquito? These females need the nutrients from blood to help feed the eggs they carry, which they lay every few days. So she alights on targets where she can drink in peace and fatten her eggs. The female of all species are an exploited lot, I tell you! Coming to the next point, you must have seen the swarms of mosquitoes impatiently trying to get out of windows at the first light of dawn. We all know that they love darkness, so why this mad rush to get out? After all that blood-bingeing at night, they need to get out to do their thing! Besides, having fed on our fatty blood they need to work it all off. Don’t we walk an extra mile after a heavy party the previous night? Just as they have learnt pranayama, they have also learnt the importance of staying fit from us! While on the subject of their morning jaunt, contrary to belief, they don’t roam around all day taking in the sights and sounds of the city and come into the house only by evening. They rush back in a couple of hours to hide in nooks and corners waiting for nightfall. You have to take my word for it. The latest you can shut the windows would be 11 AM. Not later. That is when it becomes unbearably hot outside. They like to keep cool, just like you and me. After all, isn’t it our blood in their little bodies? If they are sensitive to heat, why do they disappear during winters, you ask? Well, it depends upon how cold the winters are. Basically, they are sensitive to extreme temperatures. So if it is Delhi winter, you can bet that they will disappear, surfacing only during spring. But in Mumbai and other temperate places, they are out in force during the winter months, because winter months are the most pleasant ones in such places and mosquitoes love the weather just as much as humans do. The good news is that they disappear during the hot summers in these places when the heat gets to them. I am digressing, giving unnecessary info, which you can easily find by surfing the net. Let me come back to my topic and to the famous mosquitoes of west Mambalam – a famous locality in Chennai. Whenever we visited the place during my childhood, there were these ‘buffalo-sized’ mosquitoes. Oh, ok. I am exaggerating – they were just calf-sized. You could easily crush them between your palms or even in one hand, if you could trap them, so big they were. In days when even kachua coils had not been introduced, the only way to escape them was to keep the windows closed or sleep inside a mosquito net. It took me years to figure out why and how they became so big. I was shocked to find that it was the residents themselves who were to blame. In a predominantly Tambrahm neighbourhood, these pests were fed on tayir saadam-(curd rice)-fortified-blood. Now, in the murderous heat of the city, when even humans longed for the cooling comfort food of tayir saadam or a tall glass of buttermilk, who could blame these mites clamouring for the cool curd-rice-infused blood? Over the years, the demography has changed and I perhaps now they are not as big, having been deprived of their nourishing source of blood. The most significant point of them all: they can sense our thoughts! I kid you not! 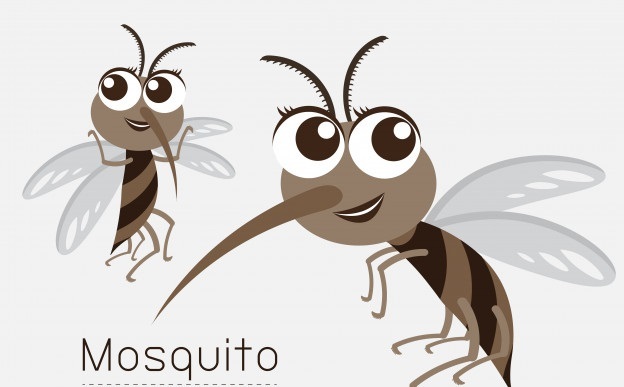 Just as snakes sense vibration and animals see and gauge the distance before they pounce, mosquitoes can read your mind! You spy a fat black one sitting on your forearm as you are typing, and sucking away to glory. You are just contemplating on your next move to smash its skull in, and lo and behold! It has flown away. You haven’t moved a muscle, you haven’t even blinked, for god’s sake! How could it be possible for it to fly precisely before you swatted it, if the critter couldn’t read your mind, eh? Well, so much for the intelligence and emotional quotient of a mosquito. After reading all those insights into its pysche, your compassion and sympathy for them have no doubt been roused. But we have to be practical and protect ourselves from the deadly diseases that they can transmit. 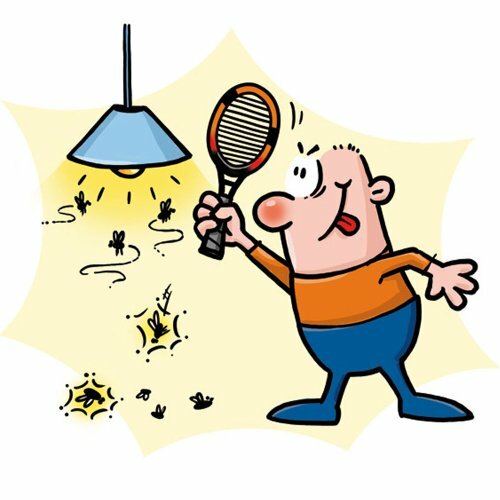 So, let me share a practical solution that has worked for me over the years in mosquito-proofing my home. I won’t take credit for this one, as it was a very pesky neighbour, who had shared it with me several decades ago. So grateful had I been, that I had even tolerated her nosy peskiness for some time! For the odd one that still lurks inside and comes singing in your ear at night, use Odomos cream, which, according to me is still the best repellent available in Indian markets. Roll-on repellents used on fabric and expensive mosquito-repellent patches don’t work! I have lots more valuable insights into mosquito-psyches, but they will have to wait till some reputed university takes cognisance of my seminal work! You deserve an award for this kind of analysis. In fact, don’t stop… go right till a Ph.D! 😀 Nobod would have thought so much goes on behind the psyche of a mosquito. Fancy that! Odomos is a God-send. I have fond memories of sitting with my grandpa on the terrace of my home in Kerala observing the birds and trees and talking to him endlessly, without having to worry about the blood sucking vampires feasting on my blood. Thank you, thank you, for appreciating my Himalayan efforts to delve into the psyches of mosquitoes and come up with this treatise! With all my plugging of Odomos, one would have thought I would have been approached to endorse their product. Ungrateful people! You need to shout from the rooftops a bit more. I am sure Odomos people got scared off after seeing your dissection of the female mosquito psyche! They didn’t dare stop to ask you any further. Ha ha! They underestimate the Cybernag, you mean? How much research you must have done to write such a beautiful hilarious write up. Maja aa gaya……….. Even Nasik has buffalo-sized mosquitos who bite through pant! What a lovely post about the mosquito psyche. Beautifully written . I am surprised zephyr, how you get such ideas of topic and how effortlessly you put them in an interesting as well as with humor. During my school days i have essay topics like an autobiography of butterfly, flowers etc. That itself was interesting subject at that age. Now having matured,i think many topics are with some flavor of psyche.Its quiet interesting for interactions.